Whilst I imagine Richard T.Kelly slapping the paint on that great big Crusaders canvas, creating a huge panoramic vista of 21st century life, I envisage Elizabeth Baines hunched over a magnifying glass, the finest, most delicate of brushes in her hand, painting exquisite little miniatures, and there you have the essence of her short story collection Balancing on the Edge of the World published by Salt. The slimmest of volumes and alternating my reading of that with the heavyweight Crusaders I've inadvertently given myself the most illuminating of reading experiences, the words on the page have certainly worked their magic this last week. Fourteen short stories and the prescription was one per day, apply slowly and liberally, allow to soak in, complete the course in a fortnight. I adjusted the script slightly because I'm a nurse prescriber so I'm allowed, a further dose may be taken if necessary within twelve hours.Then just to really nail this thing I added a repeat dose after six hours, often re-reading the previous story. So I cheated, well I couldn't help it. Suddenly my focus was narrowed down and my concentration total as I watched. Reading as an onlooker is such a treat and Elizabeth Baines positions the fulcrum of each story with absolute precision and then, with the most feather-weight whispers, proceeds to tip the balance of power first one way then the next. The whispers often so slight that I was often listening too loudly to hear them if that make sense. Lives often teetering on the edge, some pulling back from the brink in the space of a few words so easily glossed over and the essence missed.I slowed to the ponderous and thoughtful pace of that snail in Virginia Woolf's Kew Gardens. But this year I have pledged a daily visit to ShortStoryLand and I'm now perfectly at home in what has often seemed like a foreign country, a place where I've so often felt a bit cheated out of that full length novella. Mea Culpa and now I'm really starting to sense what I may have been missing. 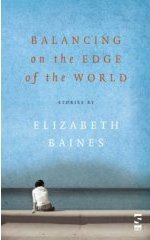 Looking back the first story in Balancing on the Edge of the World really does seem a lifetime ago, yet it's only nine days but in that time Elizabeth Baines has led me through a myriad of seemingly ordinary moments and invested them with extraordinary power. 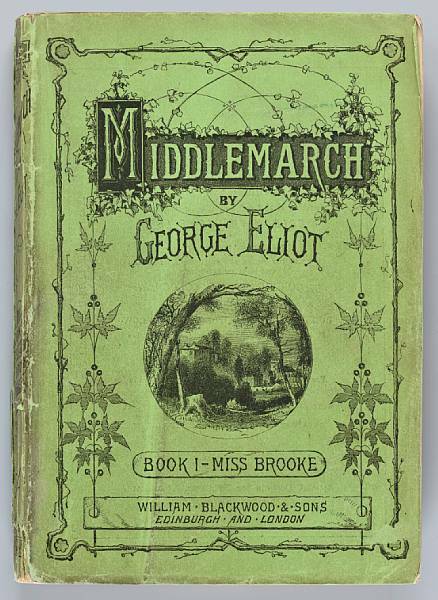 A young boy is off on a camping trip with his estranged father leaving his mother and step-father at home.In just six pages I had learnt more about the vulnerability of a child's emotion in a situation like this than any full length novel. Seriously, I still wonder how a man getting out of his car and opening a gate onto the moors can be of such significance, but on his success at doing it properly, timing the swing so the gate stays, rest all this little boy's hopes in his dad being the man he desperately wants him to be, and him trying so hard to be the son he thinks his dad might want him to be. A dad who gets things right. A son who is straining with all his might to be loveable and wanted. I defy anyone not to well up as this boy tries to interest his dad in the things which matter to him. Then pace your way slowly through the myriad lives as you meet the humiliated wife who gets her revenge, the writer desperate for recognition, the confident and assured teenage boy about to be changed forever, the children of the divorcing parents, the depressed mother, the one page story that perfectly defines the dilemma of 21st century parenting and know that you will have met a great cross section of life today. It is the microscopic quality of Elizabeth Baines' eye that make each and every one of these stories so special. I read Compass and Torch early one morning and went off to work pondering the hidden depths of that single story as it popped into my mind constantly throughout the day. I have now scoured my shelves for unread short story collections because I'll panic if I don't have another 336 to see me through the year. I'll share my ongoing selections later this week. Meanwhile can you believe I have never read The Means of Escape by Penelope Fitzgerald? Elizabeth Baines may feel slightly nervous sandwiched inbetween Grace Paley and Penelope Fitzgerald in my short story-a-day reading, but be assured, she has nothing to fear whatsoever.